Our objective was to describe the prevalence of adjuvants to opioid therapy and changes in these agents for pharmacologic management in nursing home residents with cancer. We included Medicare beneficiaries with cancer and documented opioid use at nursing home admission in 2011–2013 (N = 3268). The Minimum Data Set 3.0 provided information on sociodemographic and clinical characteristics. Part D claims provided information on opioid and adjuvant use during the 7 days after admission and 90 days later. Proportions of changes in these agents were estimated. Separate logistic models estimated associations between resident characteristics and (1) use of adjuvants at admission and (2) intensification of pharmacologic management at 90 days. Nearly 20% of patients received adjuvants to opioids at admission, with gabapentin the most common adjuvant (34.4%). After 90 days, approximately 25% had maintained or intensified pharmacologic management. 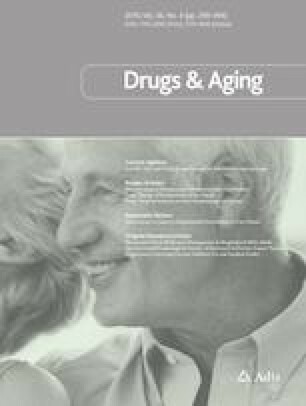 While advanced age (≥ 85 vs. 65–74 years, adjusted odds ratio [aOR] 0.80; 95% confidence interval [CI] 0.63–1.02) and comorbidities, including dementia (aOR 0.65; 95% CI 0.53–0.82) and depression (aOR 1.55; 95% CI 1.29–1.87), were associated with adjuvant use at admission, worse cognitive impairment (severe vs. no/mild, aOR 0.80; 95% CI 0.64–0.99) and presence of more severe pain (moderate/severe vs. no pain, aOR 1.60; 95% CI 1.26–2.03) were associated with intensification of drug regimen. Given aging-related changes and the presence of comorbid conditions in older adults, safety studies of these practices are warranted. This study was funded by the National Cancer Institute (Grant number R21CA198172-02 awarded to Dr. Kate Lapane). The funder had no role in the design, methods, data collection, analysis, or preparation of this manuscript. S-HL, JH, CU, CD, AH, and KL have no conflicts of interest that are directly relevant to the content of this article. This study used routinely collected administrative and claims data and was approved by the University of Massachusetts Medical School Institutional Review Board. Oncology NCPG in. NCCN clinical practice guidelines in oncology: adult cancer pain [Internet]. [cited 2018 Apr 10]. https://www.nccn.org/professionals/physician_gls/default.aspx. U.S. Centers for Medicare and Medicaid Services. MDS 3.0 RAI manual. 2017 [cited 2017 Jul 12]. https://www.cms.gov/Medicare/Quality-Initiatives-Patient-Assessment-Instruments/NursingHomeQualityInits/MDS30RAIManual.html. Center for Medicare & Medicaid services. Nursing home data compendium 2015 edition. 2015. https://www.cms.gov/Medicare/Provider-Enrollment-and-Certification/CertificationandComplianc/Downloads/nursinghomedatacompendium_508-2015.pdf. Accessed 26 Sept 2018.